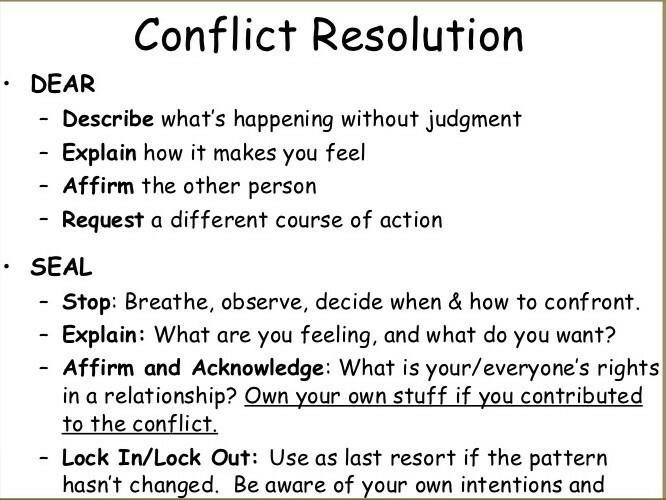 Conflict resolution is defined as a means of resolving problems and disputes between two parties without resorting to official bodies. This is a first step and a good opportunity to reach consensus on many problems such as a conflict between spouses and neighbors, the workplace, landlords and tenants, conflict over services and goods. 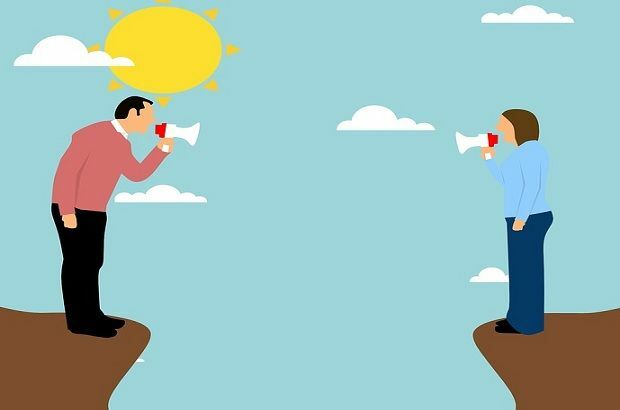 Alternative means of conflict resolution means the mechanisms and methods used by the parties to the dispute to resolve disputes without judicial interference. The judiciary is an authentic means of resolving disputes and disputes. Alternative means of justice have emerged to meet the demands of modern times and business. Courts can no longer absorb a large number of differences between individuals and groups, and the need for speed and effectiveness in the nature of these differences has emerged; alternative means have been an effective mechanism to relieve pressure from courts and judicial bodies. Judicial conciliation: The reconciliation between the parties to the dispute automatically or through the judge of the court in the presence of a lawsuit before the courts, so that both parties agree to dispute their agreement on reconciliation, and the statements are confirmed in a record according to the laws, and the record is deposited with the secretariat of the control, and then considered an executive support. Non-judicial reconciliation: It is the peace in which a dispute is settled in which no action has been brought before the courts so that the conflicting parties will reconcile themselves without resorting to the judicial authorities. The latest research examines a model that can tell how human beings resolve the conflict, and what these actions now say about biological and social behavior in the future. Active networks allow individuals to resolve conflicts by managing their network connections instead of changing their strategy. This is a common occurrence between humans, who can deliberately make choices about whom they want to talk with. Take an example: You are at a friend's house and you are eating both an appetizer, "When only one appetizer is released, how do you decide who receives it? If both of you really want it, then you are involved in a potential conflict, and there are many socially acceptable ways to solve this issue. But on what standard should you be organized, and why? " Considering these social structures, scientific research is started in view of the traditional games of conflict, such as "game of chicken" and to implement computer simulation to check that dissent is encouraged to encourage cooperation. How the solution is done. For the vast majority of our customized final state solutions, host-guest criteria or 'contradictory behavioral account- in other words, the host gives the final appetizers to the guest. The opposite solution where the host takes an appetizer for itself, which is called proprietary criteria or 'bourgeois behavior', is quite rare. This is particularly interesting in the context of human biological behavior because, in the animal kingdom, regionality or ownership norms are ubiquitous. And so, how did the host-guest norms evolve into a more socially acceptable conflicts solution in humans, and how can this effect in the future? Research shows that it is due to the dynamic nature of the social network which allows actors to choose their contact partners. It involves the internal ownership and regionality is probably widespread due to the value of ownership of the area rather than a conference to avoid the internal importance or conflict of catching resources. While many researchers can produce certain conferences, evolutionary work is working hard to give additional information about mobility.